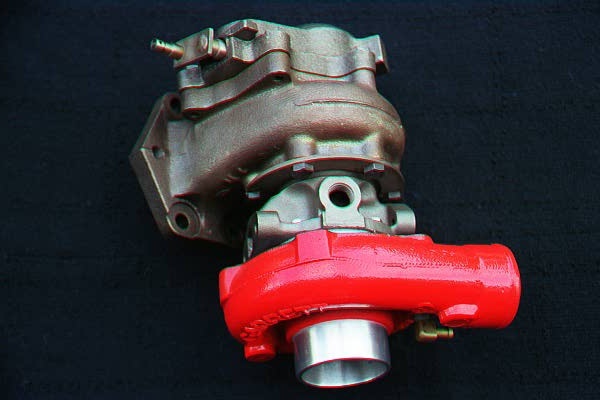 Our SWEDISH DYNAMICS "Red Series" T3/T4 turbocharger would directly upgrade and replace any 1985-1993 900T or 1986-1989 9000T without the need for modifications, and supports over 350 HP! Many T3/T4 hybrid turbochargers made available, from our competitors, will require modifications to the induction plumbing size to allow for a proper integration onto the 900 or 9000 SAAB, but our upgrade allows for a direct fit onto any 1985-1993 900 Turbo or 1986-1989 9000 Turbo! Our "Red Series" turbocharger also employs a highest quality components for years of performance use and has been a favored turbocharger upgrade for the SAAB enthusiast! We also ship our hybrid turbochargers with our 360 degree oil seals, which is critical in eliminating oil bypassing common to the standard oil seals employed on similar assemblies! The turbine housing is also resistant to cracks due to the high Nickel content within this cast iron housing!